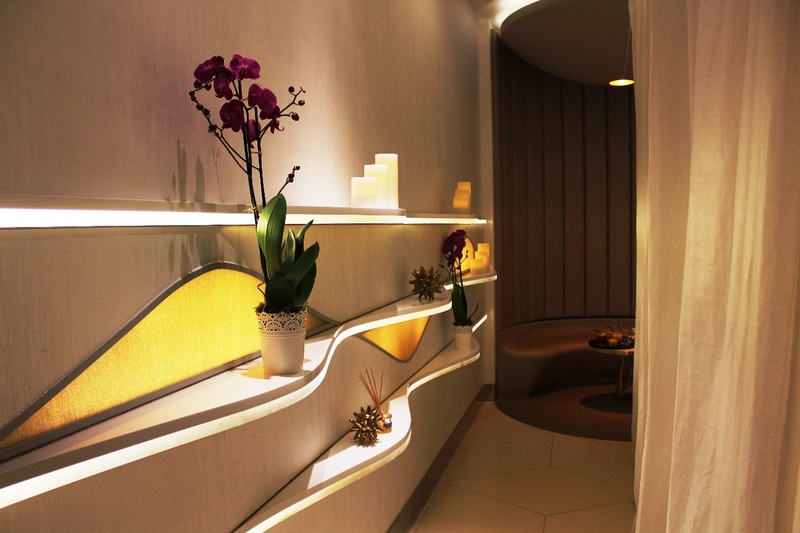 I got an invite to try out the newly opened Eden spa at Harvey Nichols Kuwait, and who would say no to some much needed quality time! 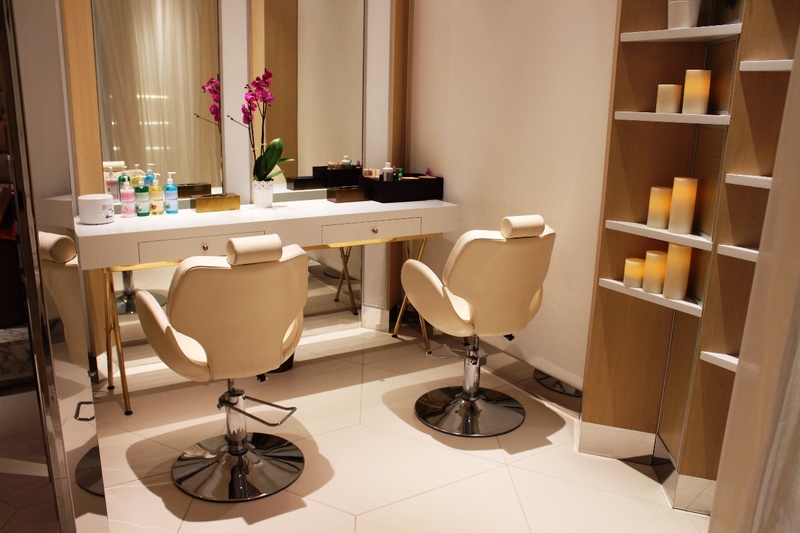 The place is located inside Harvey Nicks store, within the beauty department, just beside Elemis. First impression? Neat! very simple, cozy little place. They offer eye lashes extension and mani/pedi treatments. And I was in for the second. 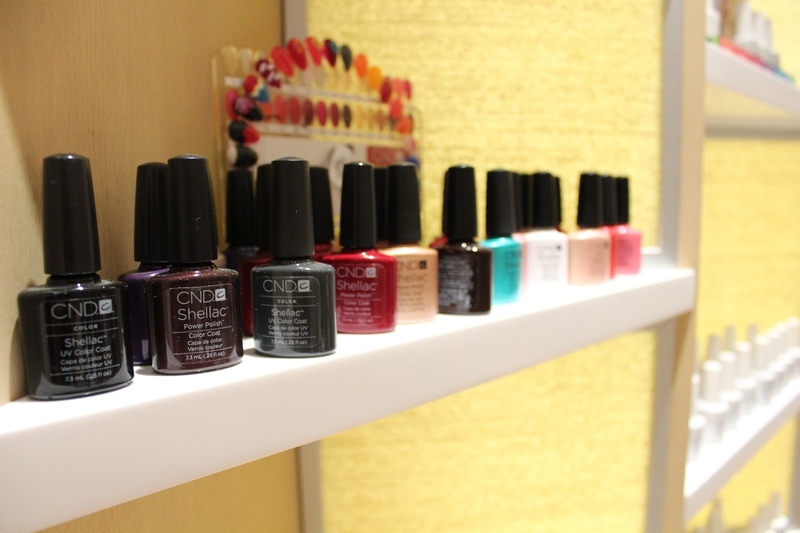 The color collection is small but quite diverse; Shellac, Essie, Gelish, Nails inc, Orly, and Ciate! I picked my colors and had a seat. The first thing to catch my attention, their water, it’s blue baby! Pool blue! I wanted to jump in! 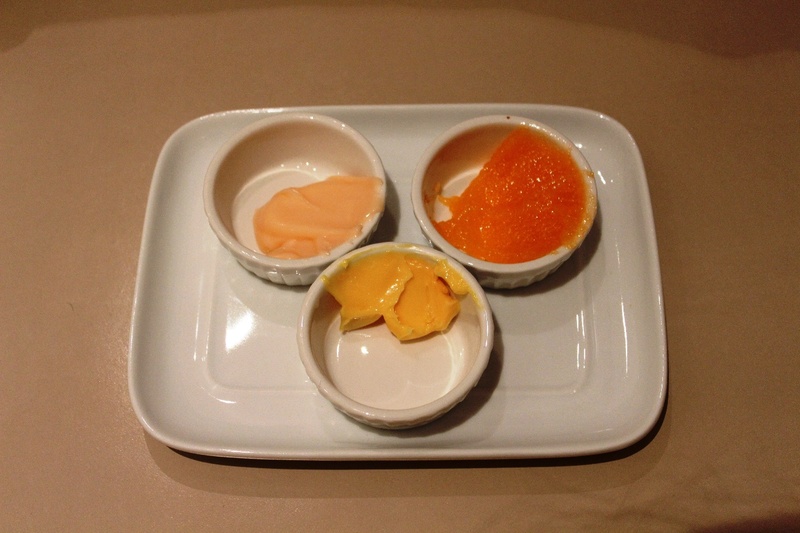 My treatment was a mix of orange, and honey butter, a perfect mix! and the smell is heavenly! I knew I was in for a good time! 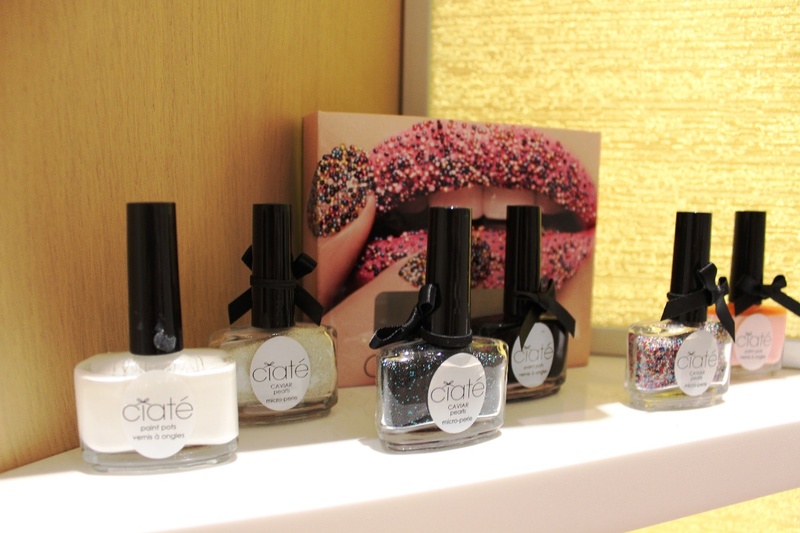 Since I’m loving white this summer, I chose it of Ciate with a touch of pearly white caviar coating. The staff were super professional, quite, and paying attention to detail. 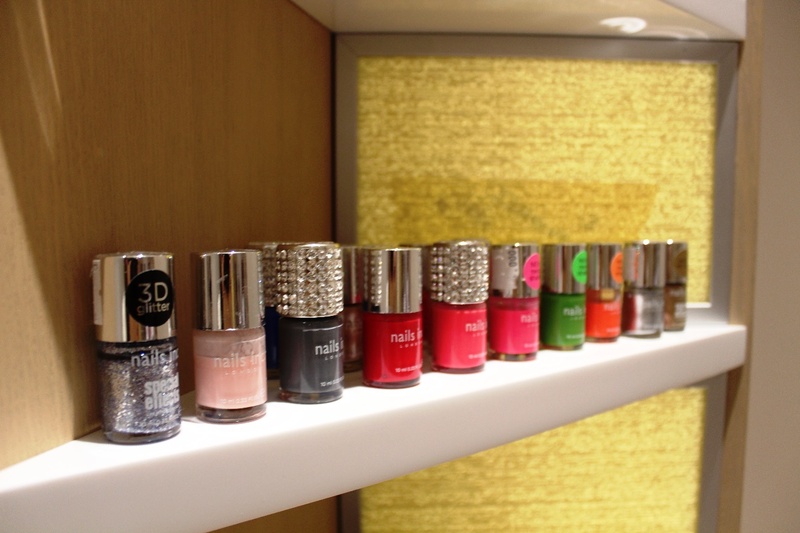 A must when it comes to nail care! detail! The cleaning, the cutting, filing, and color application! All great! I will definitely be passing by The Avenues more often! It’s hard to find a place this good and not get addicted! Wish you guys all the best! Book your appointment on 2228-3235, they are definitely worth a visit! 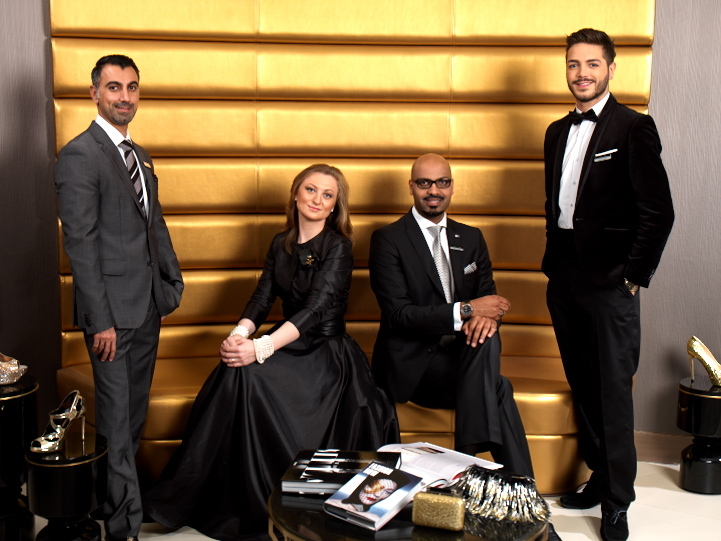 Harvey Nichols Kuwait is offering a complimentary personal shopping service to customers to enhance the luxury atmosphere and service standards of the store. The team is advising shoppers on style and the latest trends in the world of international fashion, and on how to choose outfits which perfectly fit their individual style. The store promises to make sure that shoppers get the advice of an experienced fashion expert who understands exactly what they want. To introduce this service, we will chat with two of the personal shoppers, Meshal Salmie and Natalia Krivoshenko. They will provide special insight into the world of Harvey Nichols Kuwait personal shoppers and give you some awesome style tips for the coming season. Meshal: A personal shopper is someone who assists customers in choosing the right look for them. They help to find the right clothing and accessories that really suit the style and personality of that customer. A personal shopper really does have to consider a lot of factors when advising, including the customer’s lifestyle, colour preferences, as well as physical proportions. Can you describe a typical day of yours as a personal shopper? Natalia: I start my day with getting inspiration from lookbooks provided by the brands and reviewing fashion magazines to be in the loop about current fashion trends. I also call customers to confirm that day’s appointments. Then I have to check on orders, deliveries, as well as new available garments in store. In fact, it is really hard to describe a typical day, since every day is very different, but always fabulous! 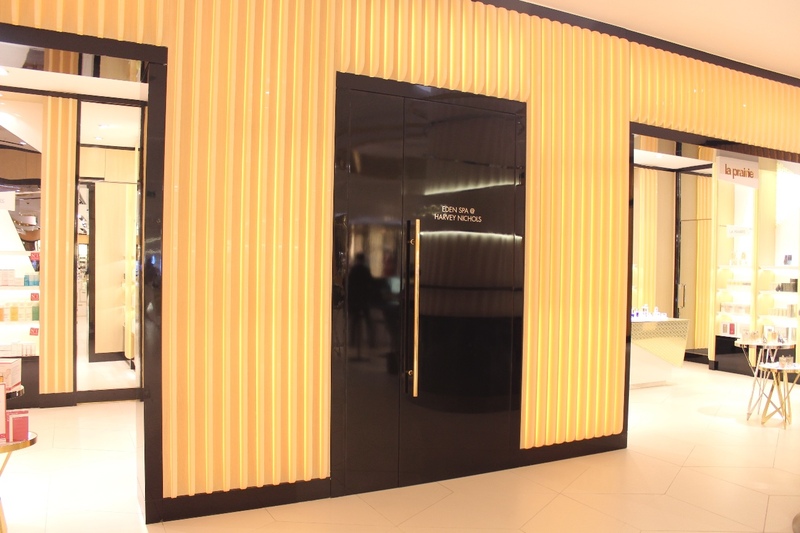 What is the best part of your job as a personal shopper at Harvey Nichols Kuwait? Natalia: Meeting and getting to know different people and personalities. It is also delightful to see a satisfied and happy customer who has found the perfect outfit with our help. In your opinion, what makes a perfect outfit? Meshal: I would say that the perfect outfit makes you feel confident and empowered. That is the essence of it. As a customer, how important is it to know what you exactly need when you go shopping? Natalia: We all wish that shopping would be easy and simple: you make up your mind, know exactly what you are after, go into your favourite store and grab the piece you want. Unfortunately, it is not always that simple. In reality, the choice is so wide, that you have to experiment, and you have to be open-minded. I believe it’s not necessarily good when you know exactly what you want. But of course you need someone who can guide you through the sometimes tiring process of finding the perfect dress. Then there we are, personal shoppers at your disposal! From an international perspective, what makes customers in the Middle East, particularly in Kuwait, different from customers in other parts of the world? 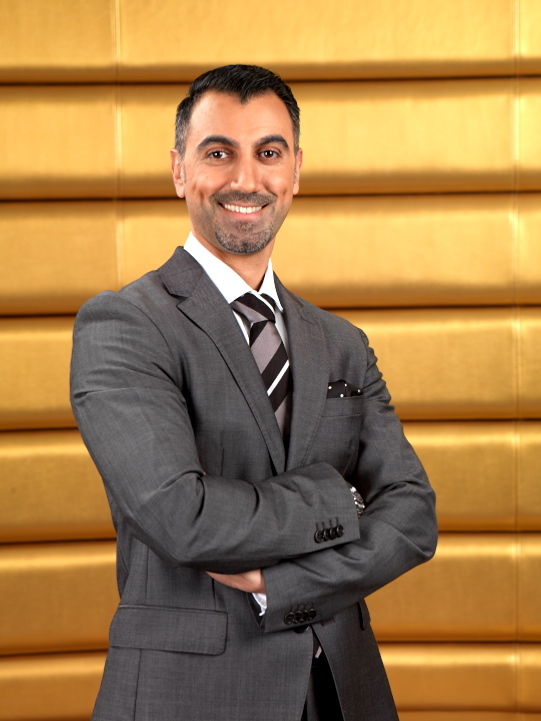 Meshal: Middle Eastern customers, especially Kuwaitis, are very well aware of the latest fashion trends, very fashion conscious and their brand awareness is very high. They are well travelled around the fashion capitals of the world. Also, I would say that they are fashion forward and respectful of their tradition at the same time. How important is it to have a personal connection with your clients? Meshal: This is absolutely crucial. Personal shoppers and their customers have to have a connection and mutual trust. We are genuinely interested in customers and we are striving to develop a long-term relationship with them. By building this connection and relationship, we are able to know customers and advise them more professionally. What are the key trends for spring/summer 2013? Natalia: I see pastels, especially peachy, soft coral hues. Metallics and neon will be also an important trend in this season. Minimalist design is also very influential. Inspirations for the season are coming from the ocean, as well as Africa: we see lots of print designs. I also see the return of retro influence. What is your personal favourite brand and why? Natalia: It’s a very hard question, I have many favourite brands. I love the simple yet exquisite designs of Jil Sander, paired with statement accessories, such as a gold snake-skin Zagliani! I also love the funkiness of Sonia Rykiel accessories. Meshal: My all-time favourite brand is Vivienne Westwood, I love the fine details and materials in her designs. Also, I am very much into Balenciaga accessories, I have several bags at home, and they are perfect for any occasion. Whether you are short of time and ideas, looking for that perfect outfit, or just would like to refresh your wardrobe or revamp your style, Harvey Nichols Kuwait has a creative personal shopper team ready to assist you. 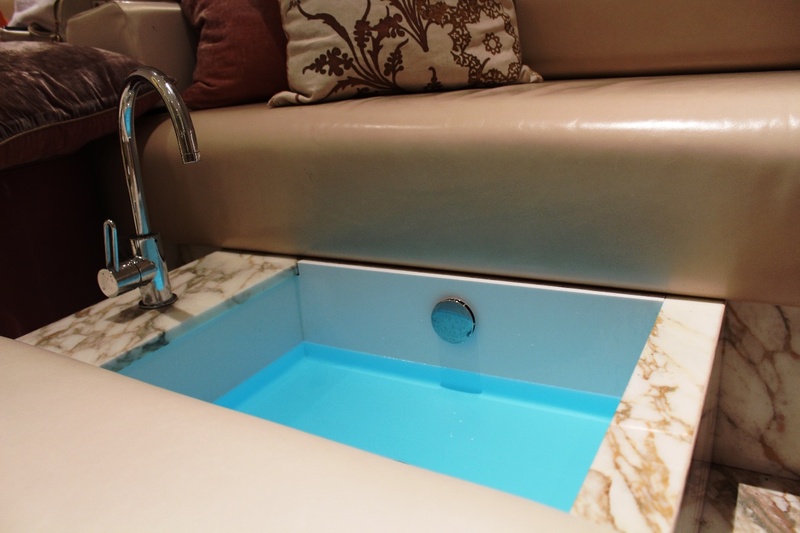 Enjoy the personal shopping service in an intimate and private atmosphere, with complimentary beverages and refreshments. For your appointment with a Harvey Nichols Kuwait personal shopper, please call 2228 3008 or ask for an appointment in person at Harvey Nichols Kuwait, Grand Avenue – The Avenues.